In 1918, following years of bitter struggle, (some) women over the age of 30 finally gained the vote when The Representation of the People Act became law. A new exhibition at Hackney Museum celebrates the centenary of women’s suffrage and explores the stories of female activists in the borough who have followed in the suffragettes’ footsteps. 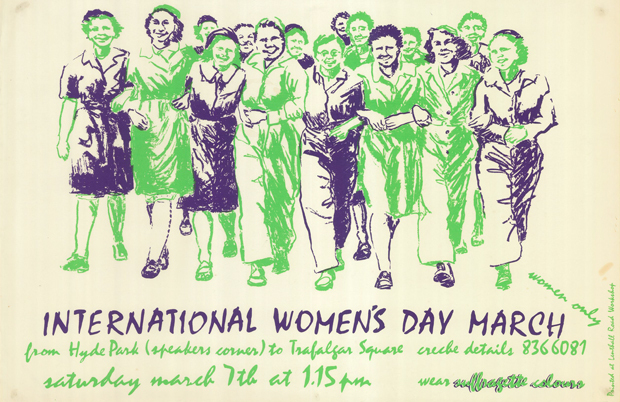 Making Her Mark: 100 Years of Women’s Activism in Hackney, made in collaboration with the East End Women’s Museum, is on display at the Hackney Museum from tomorrow, 6 February. 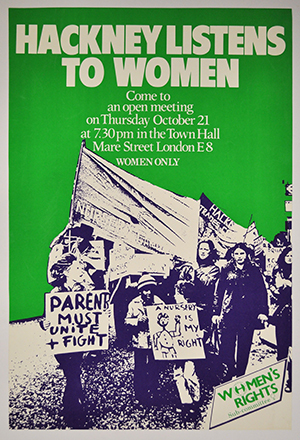 The exhibition celebrates the female activists in Hackney who have made a difference in the borough and beyond, campaigning on issues including education, workers’ rights, healthcare, domestic violence, the peace movement and police relations. Sarah Jackson, co-founder of the East End Women’s Museum, said that it had been more difficult deciding which stories of female activists in Hackney to leave out than finding stories to include. “Hackney women have been active in a huge range of causes and campaigns, and we’ve only been looking at the last 100 years”, she said. One of the key female activists featured in the exhibition is Olive Christian Malvery, a pioneering Anglo-Indian undercover journalist and social reformer. 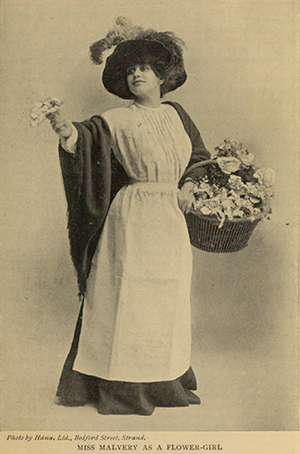 Malvery’s most renowned journalistic investigation was a series of articles published in 1904 exploring women’s work in various trades in Hoxton. As part of the assignment she went undercover as a flower seller, factory girl and waitress. In the later half of the twentieth century, many Hackney women joined the Greenham Common Peace Camp in the 1980s to protest against nuclear weapons. They even brought Greenham home by staging a peace camp in front of Hackney Town Hall in 1983 around the time of the general election. Women also played a vital role in several police race relations campaigns that have taken place in the borough. It was mainly black women who formed the Clapton Park Action Group in July 1985 to campaign against police targeting young black men on the Clapton Park Estate. Sarah is keen to highlight that women’s activism in Hackney over the past year is not necessarily confined to the types of activities that first spring to mind when thinking about ‘campaigning’. “One of the things that became clear through our research for the exhibition is that even when women aren’t marching through the streets in their thousands, they are working in countless other ways to bring about change for their communities”, she said. 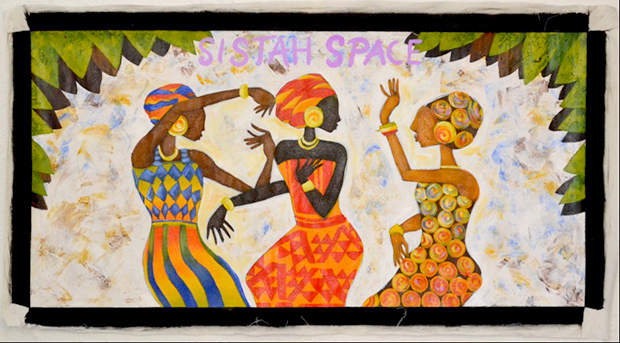 Sistah Space, one of the more recent women’s groups featured in the exhibition, demonstrates that female activism in the borough can come in many forms. Sistah Space is a volunteer-run domestic violence support service based in Hackney and was founded in 2015 following the violent murder of Valerie Ford and her baby by an ex-partner. The service works specifically with women and girls in the African and Caribbean community, as African heritage women have some of the highest rates of underreporting of domestic abuse cases and can be reluctant to use mainstream services. Speaking about the exhibition, Councillor Carole Williams, Cabinet Member with responsibility for equalities, said: “Our society would be a very different place if women had not fought for their right to vote 100 years ago. As part of the year-long programme of events to mark the centenary of women’s suffrage, the council are calling on residents to nominate inspirational local women. They are looking to showcase 100 Hackney women who are driving chance and making a difference in the community. Nominations can be made online here on the council website.